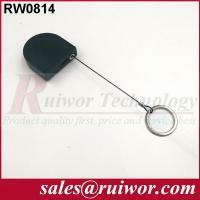 Place of Origin: JIANGXI, CHINA. 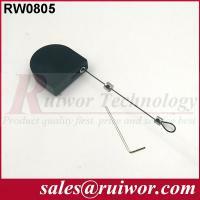 MOQ: 50 Pieces, Sample order less than MOQ is acceptable. 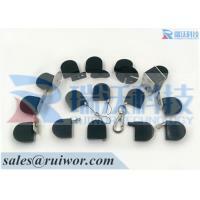 Supply Ability: 50000 Pieces per Week, Production capacity can raise for urgent order. 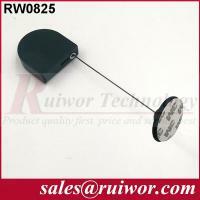 This recoiler can work together with any end fitting or mounting base / holder (as shown on our website) from us. 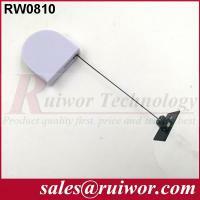 The box can be fixed on the back of display cabinet by screw or adhesive tape.This recoiler can be broadly applied for various POP security displays for electronic articles / electricity appliances etc, such as mobile phones, electric toothbrushes, MP3/MP4, PDA, electric tools and computers etc. 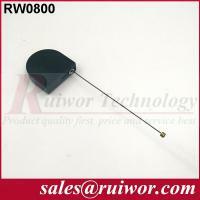 RW0810 Tether Security is a Mini tether, Semicircular beautiful looking with little and dainty figure will also achieve the cheapest freight cost. 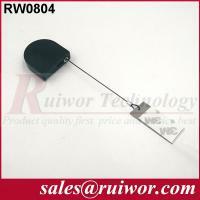 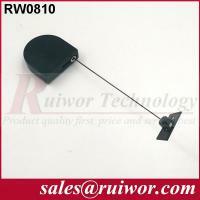 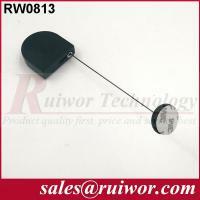 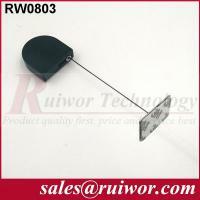 RW0810 Tether Security Supply Ability: 80000 pcs per week, production capacity can raise for urgent order. 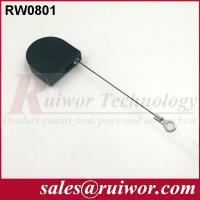 RW0810 Tether Security Materials: Box is made of ABS plastic, with retractable spring built inside and stainless steel cable winding onto the reel inside. 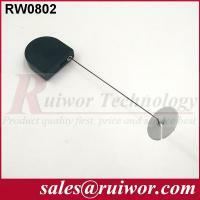 If you don't know which is the right Tether Security for you, Could you please let ruiwor know more details about the Tether Security of your need? then we will recommend the right porduct to you within 24 hours.